Most Samoan girls are brought up to dress modestly. I won't pretend that I was a paragon of this particular virtue. In fact, I'll go all out and say I am really not a paragon of ANY particular virtue at all. When I was visiting my family for Uni holidays, my dad would say in a sad and concerned voice "Darling, don't you have enough money?.... we can help you out.... obviously you didn't have enough to buy the rest of that skirt ". My brothers would alternatively tease me about my vae ta'amu, or tell me to go change or I was not exiting the house. I was pretty dutiful then, I'd just throw the offending article on the floor in a huff fold them away quietly, plotting to put it straight back on the moment my scholarship took me back to FREEEEDDDOOM Auckland. I know it's shocking! I should wear a scarlet letter! That said, even a rebel-without-a-pause, like 18-year-old me knew that one could not strut around the nu'u in short skirts or skimpy shorts, just as I knew you couldn't turn up to family lotu in the evening without covering your shoulders. Dusk would be falling and we'd hear the dong, dong of a metal pipe hitting a hollowed out rusted old iron tube, that may or may not have once been a fire extinguisher, and we'd all start the mad scramble, looking for big button up shirts or lavalavas, to drape around our shoulders like scarfs, concealing our singlets or the boys' bare chests, before sitting down, crossing our legs and joining the pese (and yes even my pa'ulua voice would be raised in praise). I can accept that there were, and are, expectations of modest dress in certain settings (whether or not you consider that those expectations to be traditional to Samoan culture is a seperate issue, and one which I have already addressed). Of course these expectations are not exclusive to Samoa. Whether backpacking around Europe, or sojourning in Central America, I've always made sure that I've either worn or carried a long skirt and a shawl in my day pack, so that I could enter churches and other holy places respectfully. Whether in Sydney, Suva or Sri Lanka, what I wear to work is conservative and in keeping with the country and culture I am in. So I don't think there is a need to skirt around the issue, rather than just saying directly that it seems that much of the recent furore around displaying the malu was, and is, actually about dressing modestly, and appropriate behaviour for a Samoan woman. Unfortunately it also seems that this was an inconvenient truth. After all, if a malu doesn't make one any more Samoan (a point I completely agree with), then having a malu should not bring one's behaviour as a Samoan woman under any additional scrutiny. We all know that"tausi le mamalu" isn't something we suddenly get taught when we come of age, or when we are about to go under the 'au, it is something intrinsic in every Samoan girl's upbringing. If you're going to dictate others' dress standards, or if you're set on telling others how to behave in what you consider to be a culturally appropriate manner, then there is a certain expectation that your own behaviour and manner of dress will withstand similar scrutiny. 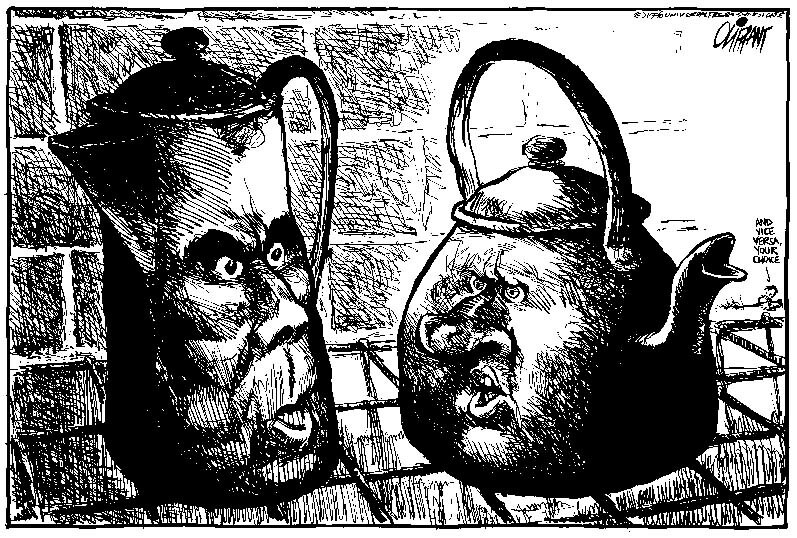 Otherwise it's just "Hello Kettle, my name is Pot, and I have noticed that you are rather black". That is also probably why most people don't start lectures on cultural proprierty with "I was up in the club and...". It's not normally seen as the most traditional or cultural of activities for a young Samoan lady. Don't get me wrong I am all for going out, I am just not for going out, and then getting up on your high horse. It is so 1950s to try and control the way another women dresses, but cite culture and we're all ok. We'll just tidy that pesky feminism away, it really is so unbecoming. Cite culture and noone is supposed to reflect on why some women seem so upset at seeing other's dressed in a way that emphasises they are at the height of their youth and beauty (or at the height of their foolishness). Either way it doesn't bother me. It's a long time since I was 18, and I'm self-aware enough to say that the only issue I have with hot pants, is that, despite the promising name, they do not in fact look hot on me! Oh the outrage! It's just so totally deceptive and misleading! I would threaten to sue (for the very first time ever in my life) except that I've heard that it may upset some insects! A similar amount of self-reflection for all those throwing stones would go a long way.